These two trucks are stunning with their pale tan marble front and beautiful kitchen design in the rear. What sets the tone for these Ford wraps is the hood decal (you can view on our earlier post) the tan marble hood adds a sense of elegance, which mirrors the quality and service you receive from Keith’s Marble and Granite. We hope to one day be their clients !! Beach House Graphics is currently working on Keith’s next vehicle wrap which will be a stunning full Ford Focus wrap coming later this month. 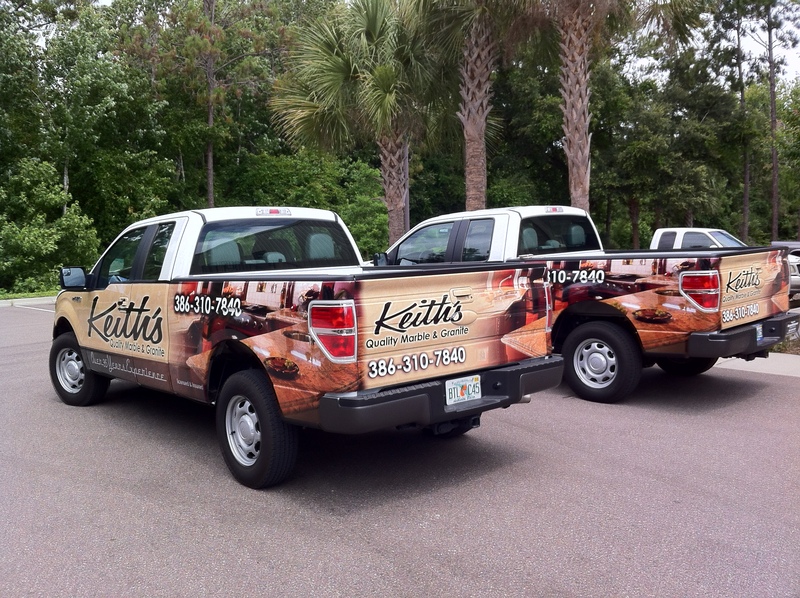 If you are interested in learning more about vehicle wraps, please call 386.256.0998.